Once depression is identified, it can be treated through counseling, and when necessary, a referral for medication management. The first step is an accurate diagnosis after thorough assessment. Your counselor will ask questions to identify when symptoms first began, how long they have gone on, and how they are impacting daily living. Jennifer Coleman has a decade of experience in identifying and treating mild to moderately severe depression in adults and adolescents. Jennifer has experience helping clients with depression get back to wellness. One of the most challenging things about getting over depression is that we lose interest and energy for most of the things that usually make us feel good. Exercise may provide lots of feel-good chemicals, but it can be 50 times harder to drag ourselves out of bed, much less to the gym when we are depressed. Jennifer understands that treating depression successfully is a multi-step process that involves changing our thinking, our activity, and ultimately, our biochemistry. Often, treatment begins with small concrete steps and ends with lasting change. Sometimes, this means setting healthy boundaries with others. Sometimes it means developing healthy habits. Sometimes it means figuring out our next direction in life. No matter what the issue beneath your depression, Jennifer can help. Sometimes depression can be situational, or caused by becoming overwhelmed by difficult life events. Sometimes it seems to come out of nowhere, or have a biochemical origin. Sometimes we are simply feeling hopeless about life direction. No matter what lies under your depression, Jennifer has the compassion and willingness to sort through it with you. 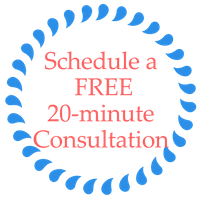 Don’t suffer alone or “wait for it to get better.” Contact Jennifer today – you can have a free 20 minute phone consultation and find out for yourself if you think her services would be a good fit for what you are going through.